“Are you dating?” Cole wrote under the pic, seemingly trolling the thousands of fans that were asking the same thing. 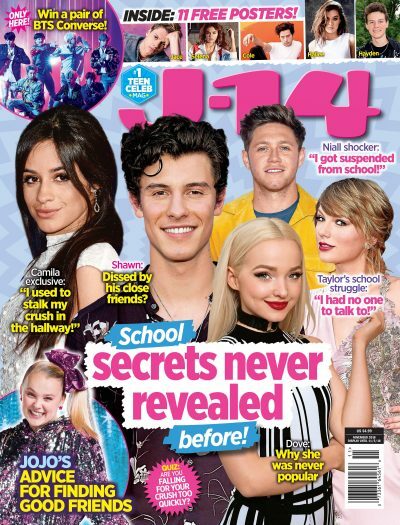 J-14 readers know, of course, the couple have kept pretty coy about their relationship. And this isn’t the first time the Riverdale cast has trolled each other on social media. Let’s not forget the time co-stars KJ Apa and Casey Cott reenacted Cole’s birthday post for Lili. Or the time Camila Mendes commented on a post of a meme from the movie Ghost that read, “when you third wheel so much you basically become part of the relationship. The 24-year-old star wrote, “@lilireinhart @colesprouse we’re such a cute couple.” LOL!